Our mostly natural linen bed sheets are 100% soft, natural cotton. We call these sheets linen because this term has been generalized to include cotton luxury fabrics. Linen also describes a flax fabric which these sheets are not. Please Choose Sheet Size in the drop down menu above. Please choose depth size in the drop down menu above. Please choose a color from drop down menu. Our mostly natural linen bed sheets are 100% soft, natural cotton. We call these sheets linen because this term has been generalized to include cotton luxury fabrics. 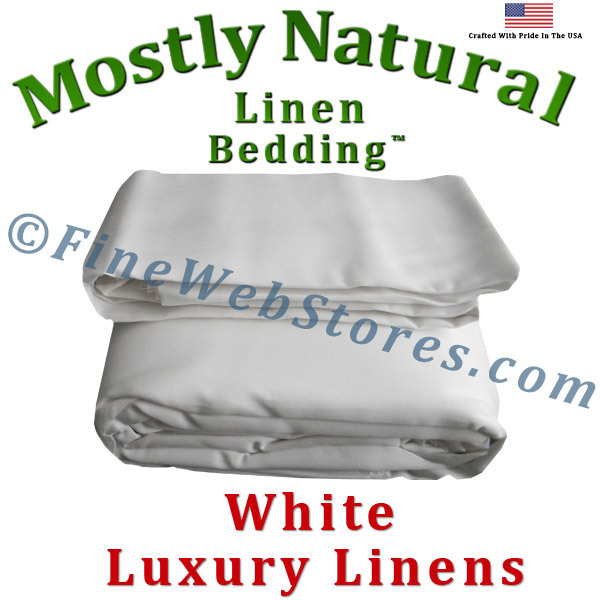 Linen also describes a flax fabric which these sheets are not. This is a complete set which includes the top sheet, fitted bottom sheet, and two matching standard/queen pillowcases. There is a There is a generous 300 threads per square inch count. This product is sewn in the USA.